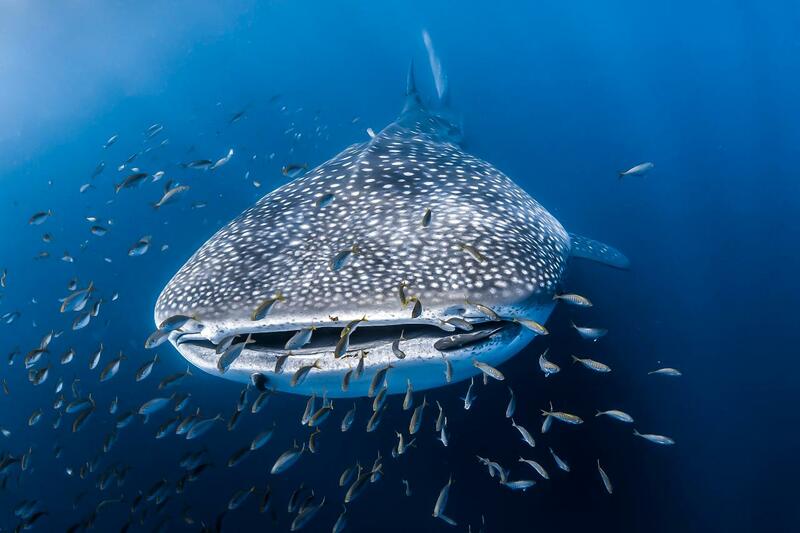 Our onboard photographer provides you the opportunity to purchase your whale shark experience captured on film! The ideal way to keep your memories forever. 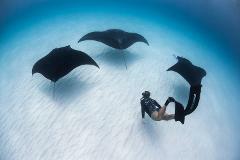 Swimming alongside the biggest fish in the world is simply an incredible encounter you are sure to always remember! Our dedicated crew are passionate about the conservation and research of the mystical creatures of the deep with our aim being your safety first and your time spent in the water swimming with these beautiful creatures. This full day tour starts at 7:20, meeting in the dive shop to check in and collect all your snorkelling equipment for the day - including a full length wetsuit! We then take a 5 minute drive down to the jetty on our new, air-conditioned buses where we then embark one of our two fit-for-purpose vessels, each with ample room on the covered main deck to comfortably sit, move around and sight see as we cruise out to the World Heritage listed Ningaloo Reef. Our first stop on the water is a guided snorkel at a beautiful coral garden area on the reef where you get the chance to see up to 250 species of corals and such marine life as colourful fish, sea turtles, stingrays, octopus, cuttlefish, reef sharks, amongst many many others! Once everyone is back aboard you can indulge in some morning tea as we head outside the reef in search for a whale shark! The pilot of our dedicated spotter plane will coordinate directly with our skipper to get you in the best position possible to see a whale shark. 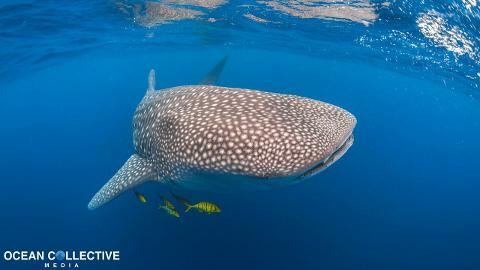 If we find a whale shark, you will have a chance to get in the water and swim alongside them. Once back inside the reef, a delicious buffet lunch will be served. 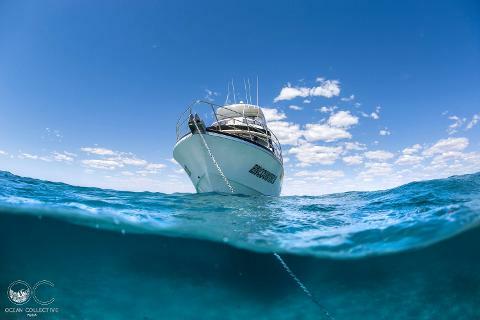 While you enjoy your lunch, we will begin cruising back toward Coral Bay as we endeavour to find as much marine life in the water as possible for your sight-seeing pleasure. 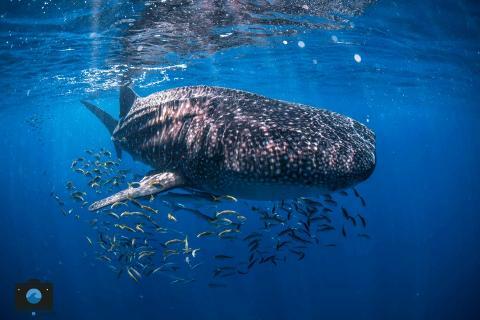 The Ningaloo is host to many incredible animals that you may get the chance to view from the boat on this tour, such as dolphins, dugongs, manta rays, sting rays, sharks and whales! In the afternoon we will go for another snorkel at yet another beautiful reef location if time permits. This tour generally returns to Coral Bay between 4:30pm - 5:30pm but this can vary depending on the conditions of the day. No sighting policy: 1 repeat opportunity per customer on the next available tour (which may not necessarily be the next day). If you are not able to go on your allocated repeat tour we will give you an open-ended voucher (no expiry date) to be used at another time. Vouchers are only redeemable for a whale shark tour, no cash will be refunded. 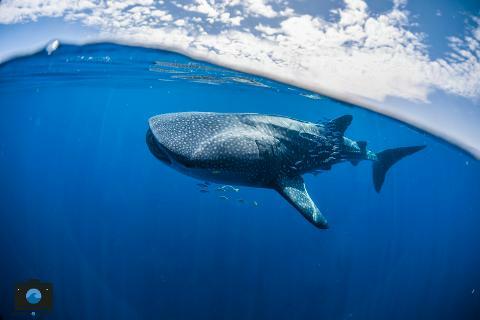 A $25 fee per person from the cost of your tour goes to the Department of Biodiversity, Conservation and Attractions towards whale shark research and conservation.